The main focus of v3.4 was speed of loading content (e.g Templates, Reports) and speed of navigation. Everything from logging in and ending a polling session, to navigating between CloudVOTE sections is now much faster. “Lazy loading” now allows us to pre-load only the content that is immediately needed at the moment. Content you need the most immediately is loaded almost instantly, giving you back valuable time. All these changes are meant to improve the lives and save time for those who are responsible for making sure that data from local trainers that may have been entered incorrectly in the haste of the training frenzy. Corrections can now be made in mere minutes and all data is re-synced to LMS automatically, making the correct reports available immediately. 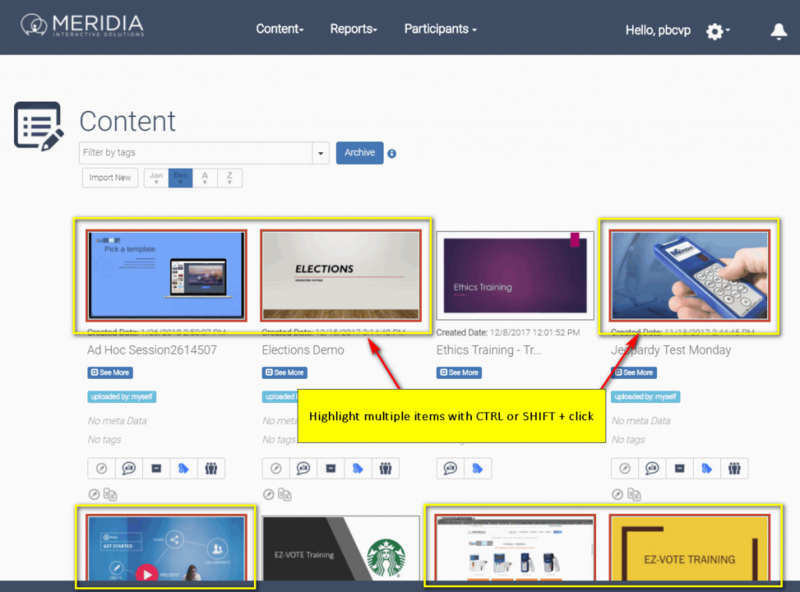 New Grid Layout allows for a faster at-a-glance browsing experience and shows all the important information right where you want it. Click the Template thumbnail to select it. 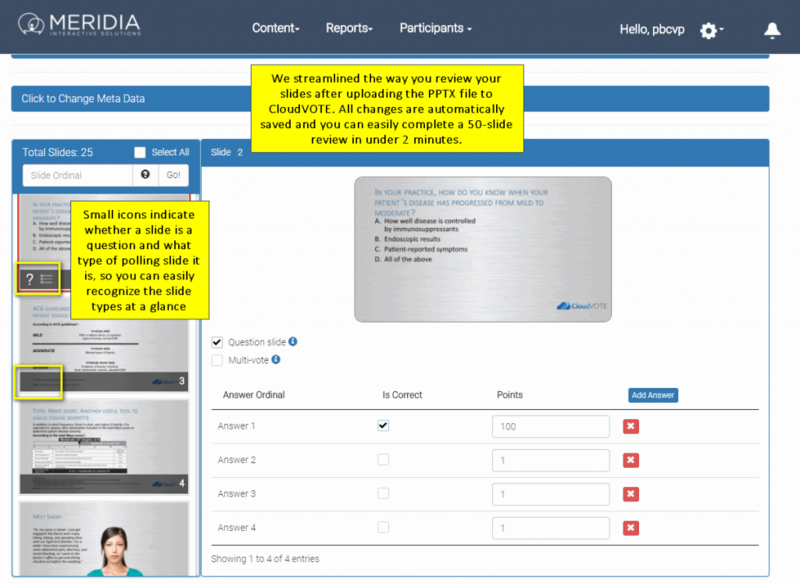 Click the View Slides button to edit the Template settings, review your slides, and configure polling functions on each question. With Multi-Item Operations, you can select more than one Template or Report and perform an Archive function quickly and easily. Hold CTRL to select multiple items one by one, or click on one item, hold SHIFT and click on the last one you need highlighted to select everything in between. Slide Review design changed to a vertical thumbnail list, so that you have more room to review your slide options on the right. Set up your polling style – single-vote, multi-vote, and soon, you’ll be able to do self-paced surveys with conditional navigation, as well. 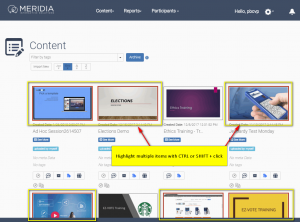 For those clients who are using CloudVOTE for training content management and sync to SAP SuccessFactors LMS, anytime a new content (Template) is added, or modification occurs, all associated users will automatically receive a notification to download the latest version, and they will be blocked from using an old, out-of-date content. Now that’s what we call Version Control! The new Notification System also makes it easier for us to announce planned server maintenance and new software updates. The system syncs notifications across our web and desktop applications, so you don’t miss the next big news! 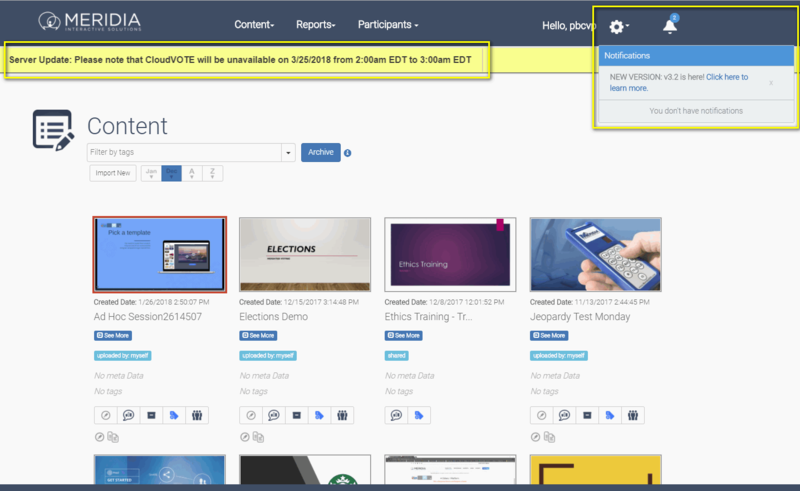 In this release, CloudVOTE’s new features have improved everything from simplifying our pricing and account management, adding Participant Management features, making visual and usability changes to the Web Participant UI and improved upon our speed and stability. Below, find the highlights of the best features we currently offer. 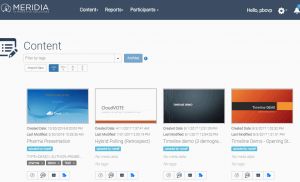 CloudVOTE is still a pure web app – so there’s NOTHING to download for you, the Presenter, or for the Participants. 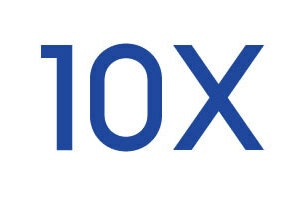 CloudVOTE is now 10x faster than before! Session Management. Polling. You Name It. As a Presenter/Organizer, you are now able to import or create a list of Attendees/Participants, so that you can track their answers, simply know, or control who is going to be in your session. 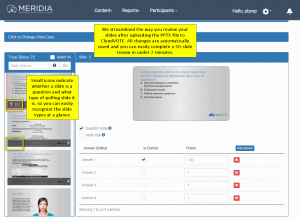 Your session can be started with two main options: Anonymous, or with a Participant List. If you need to use a Participant List, you have two options: Pre-Registered, or Free-Form signup. 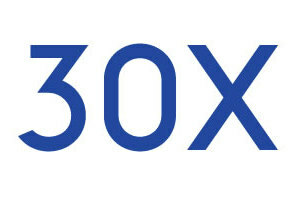 Choose between Pre-Registered and Free-Form participant signup method. Pre-Registered list allows you to specify exactly who is (and who isn’t) allowed to enter your polling session. This also allows you to assign a ‘vote weight’ to each participant, so that they can vote according to your election rules and regulations. 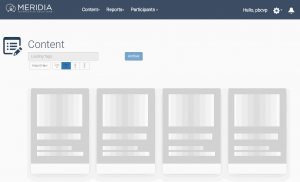 When you create a Free-Form Participant List, you will be able to request the joining participants to fill out a form with information you want them to share with you, such as an email address, name, or anything else. You can make the fields required, or optional. Request specific information from your participants, such as email address, or name before joining the polling session. 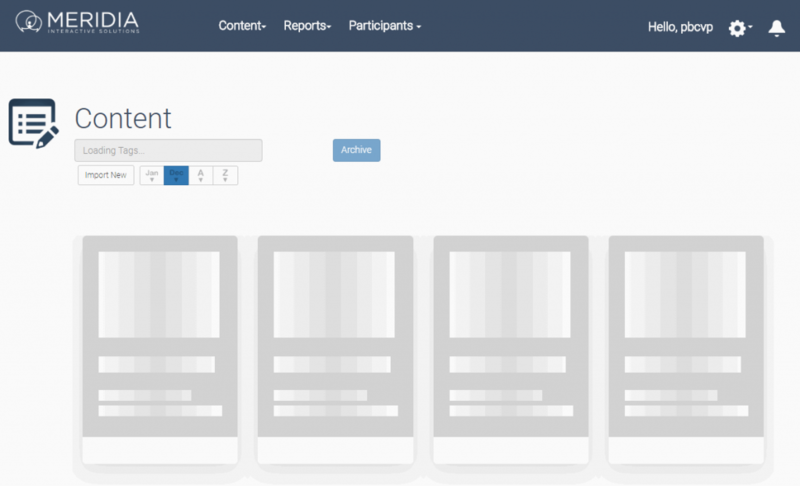 Our participant voting UI redesign came all from your feedback. Keep it coming! The voting buttons are now located below the slide preview thumbnail and the entire screen is fully responsive, so that we can make sure that it’s going to look great on every screen. New voting UI has a clear and instant vote confirmation, and even provides instruction on how to vote on each question – whether it’s a single-vote, or multi-vote slide. We’re working on automating the bullet-format detection, but in the meantime, Presenter can select whether the buttons are going to be shown as “Alpha” or “Numeric” depending on the format chosen on the original PowerPoint slide. "WebPad" voting buttons instill voters' confidence by turning a different color after the vote is submitted. When voting in multi-vote mode, user can clearly see how each of their votes is attributed. 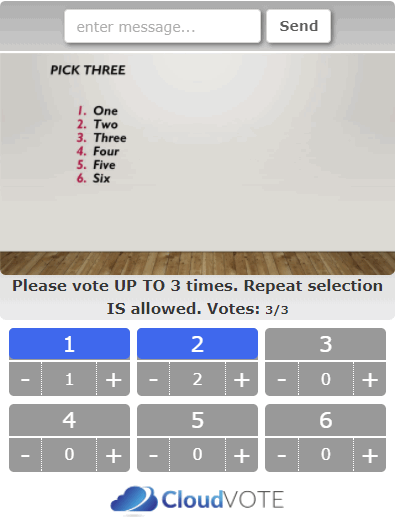 Whether the question is asked in single-vote or multi-vote mode, participants can clearly see whether they have voted and change their vote easily and intuitively. The voting screen also provides instruction on how to vote, so that the election and voting regulations are easily followed. The entire screen, including the voting buttons are fully responsive, which means that they will conform to any screen that the participants are using. We heard your feedback – again! This change, for now, is manual, but will be automated in the near future. 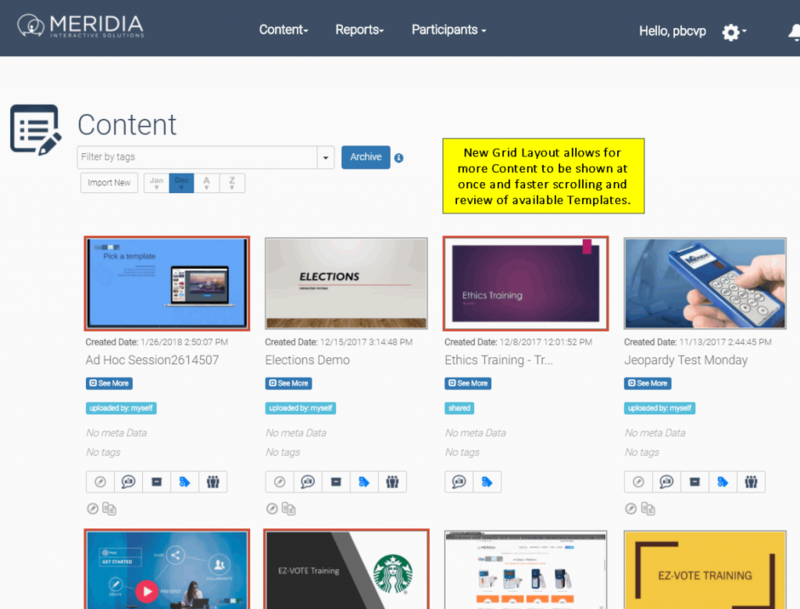 Presenter can use the Template Settings section in Slide Review to change the voting button format from Numeric to Alpha, depending on the actual format of the bullets on the PowerPoint slide. Presenter can change the format of the voting buttons to better conform to the actual bullet format on their slides. We’re always looking for feedback, so that we can improve and innovate for you. Without you, CloudVOTE would never become a useful product that it is now, it would just be an idea that was never realized. 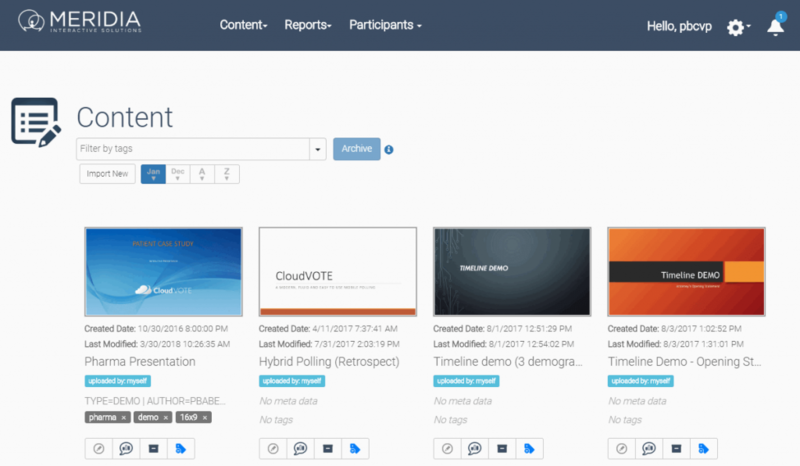 Contact us at support@cloudvote.com with any questions and suggestions that cross your mind, or if you want to schedule a demo to see all the audience response integration and LMS content management features.